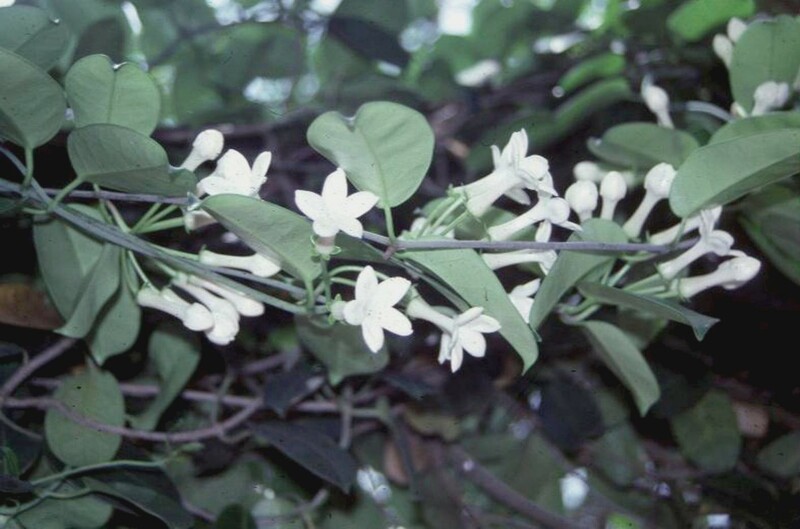 Comments: This is a sub-tropical twining vine that is noted for it white, waxy, funnel-shaped, highly fragrant flowers. The leaves are thick and leathery. It is a favorite flower for wedding boquets and other wedding arrangements. Except in very warm climates this vine should be grown in greenhouse or conservatory spaces protected from freezing temperatures. Mealy bugs can be the most serious pest.